​Newcastle have been told to increase their offer for Atlanta United playmaker Miguel Almiron by the player's agent Daniel Campos after they made a reported bid of £8m. The Paraguayan midfielder has been linked with a move to the north east for several months yet he will not be allowed to leave by Atlanta unless their valuation of £25m is reached. ​Magpies manager Rafael Benitez is thought to be seeking a player who can feature primarily behind the striker with Almiron fitting the bill. Speaking to ABC Cardinal in Paraguay as quoted by the ​Daily Mail, the 24-year-old's agent Campos revealed the latest surrounding the possibility of a move in January, stating: "With Newcastle, I spoke about the player's salary, but the club needs to raise their offer with Atlanta if they want to get the player." If Newcastle were to meet the midfielder's valuation of £25m, he would become the club's record signing, surpassing the £16.8m they paid for Michael Owen in 2005. However, Benitez could still face competition for Almiron's signature from other sides, after Campos added: "We are in conversations. We are in talks with clubs in England. "There are two or three clubs interested and we haven't been able to advance on anything in a definite form." Daniel Campos: "We are in conversations. We are in talks with clubs in England. There are two or three clubs interested and we haven’t been able to advance on anything in a definite form." 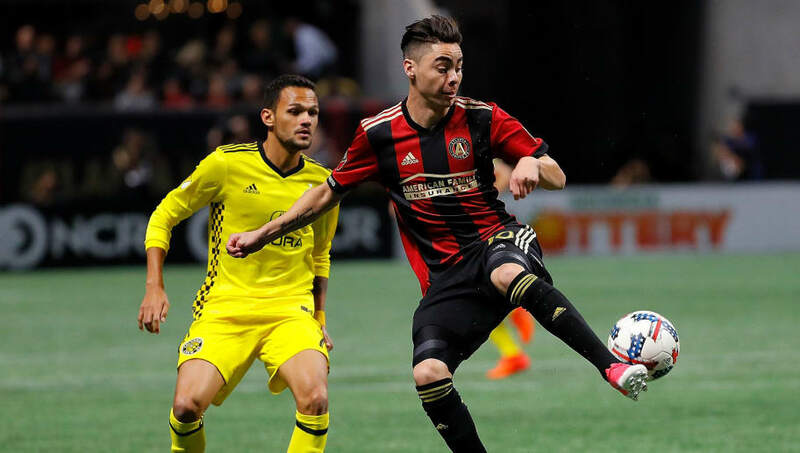 Almiron was a vital member of Atlanta United's squad last season, helping his side win their first ever Major League Soccer title by scoring 12 goals and providing 13 assists. His performances for the Five Stripes since joining the club from Lanus in 2016 have earned him a regular place in the Paraguay national team with the midfielder being capped 12 times in the last three years.